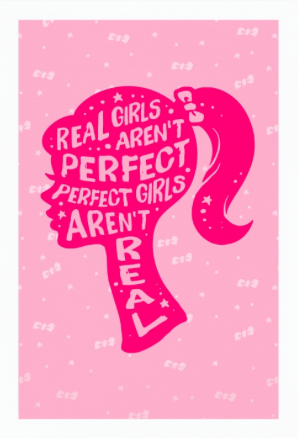 And here's a number which shuns the perfect girl image and celebrates the real us. The poem was touching and thought provoking. My husband wants to be with me till the end" True emotions. Loved it. Thank you so much, Ajay. Well said! The pressure on girls, especially, to look a certain and unrealistic way is tremendous these days. But beauty comes from within. Really, I thought otherwise. And yes, what's inside matters the most. Lovely poem, Saru. The people who matter in our life don't bother about shapes, and why should we bother about the others? Well said. I wish girls at they growing age understand that. Yes but with craziness around I see many grown ups falling for it. Beauty lies in the eyes of the beholder. And our beholders are family and friends - whose thoughts and feelings matter to us. Others are just part of "noise". Very well expressed Saru.. I was alien like skinny once, and everyone would suggest me to eat more. I started going on heavier side later on and people would comment on my chubby cheeks and bulging belly. Now I am happy, healthy and don't care what people think. Awesome poem Saru. Yeah, we shouldn't care. You are perfect. Beautifully written Saru :). Women are under pressure to look good in all sorts of ways all the time. In the end its more important to be a good human being and if our family loves us for that, then there's nothing more we need in our lives. Unfortunately physical beauty matters for a lot of people in our society even today :/. We should respect our body and not try to be somebody else...I pity those who do...More than attaining physical shape and size, Inner beauty needs to be worked upon.. Very good and meaningful poem. Congrats. I read it just now. It's beautiful. Sadly, there are many out there who give undue importance to looks. Thanks for sharing the poem. Me too, I listen it everyday. I felt good after reading this. Most of us girls, are not barbie dolls. People judge girls by their looks. This hasn't changed yet. Very beautifully composed poem Saru. The baby doll requirements are that of the Media and people are more influenced by media and so they seek it. However, its the inside of a person that makes him or her beautiful as you said in your lines "with all my imperfections". Yes, media is hugely responsible for feeding this image. I agree, what's inside is more important. Well and sensitively written, Saru. Best wishes for more such! Beautifully written. That's the spirit and that's where the beauty lies. True that and thank you for reading, Somali. Beautifully written the bitter truth of our society...'Women have to look good". It feels good that women are gradually realizing their worth which is not in superficial beauty but their personality and humanity. Thank you Saru for such beautiful poem! I wish more young girls realize it. Thanks for reading and a lovely comment. Well said, Saru. What more can I add? You said it all eloquently. Thanks Parul and reading it just now. Hehehe... I don't like her body type, she is too skinny. You are gorgeous, Ekta. It's rather easy to mold and change shape but we can hardly change what's inside. The most important is 'be yourself"A talented,confident girl has the right to say to the half witted who goes for the so called beauty, "Go to hell".Loved your poem! I will keep that thought in mind and will pass it on. Thanks for reading, Ma'am. We all learn; some early, some late. Thanks for reading, Vidhya. External beauty is only skin deep. Tap the surface and look at the wealth of goodness beneath. ! a very thoughtful point described in crisp and b'ful words. purity of soul makes a person b'ful. loved it Saru ! true value of women is in their qualities. Oh sorry, actually this is true for any human being. Yes we judge people by their appearance, not only women but men too. Appearance or first impression matters. Also not every dress is suitable for everyone. Many can't carry their dress and look ugly even in most beautiful dresses. people without a good dressing sense is a big put off to many including me. Dressing sense makes or mars your appearance. You are right, inner beauty is relevant to both the sexes. It's a beautiful poem with a nice meaning. Thanks for sharing. Hello Saru, I am very to say that I have nominated your lovely blog for the Very Inspiring Blog Award. Thanks a ton dear. Truly honored. Superb, Saru! Yes, no girl/boy needs to worry about their looks! But, definitely they need to look at and maintain their inner beauty. Strong message. Beauty lies in the eyes of the beholder. This attitude is really the need of the hour.